The Green Wall are back on top of the Gears world. 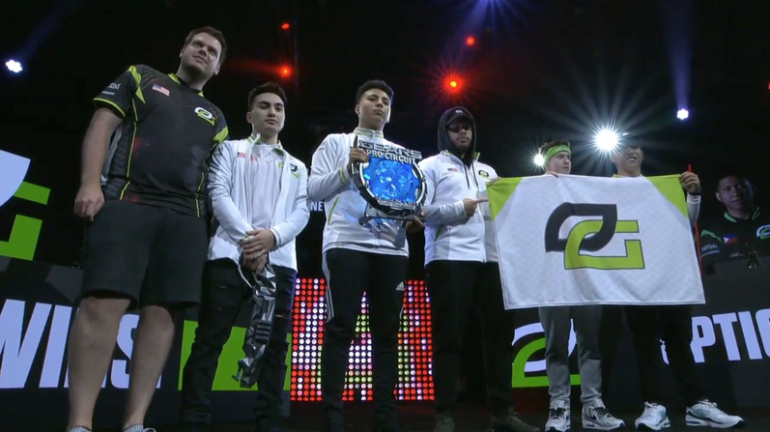 OpTic Gaming have won the Gears Pro Circuit New Orleans Open championship, defeating Echo Fox to claim the title and its $100,000 grand prize. After failing to win at the GPC Las Vegas Open in April and dealing with roster changes, OpTic have taken their spot at the top of the Gears world again. And to do it, they had to go through two former teammates in a very intense and talkative grand finals series. Justin Kenny and Nicholas “Icy” Cope, two players who have never been known for staying quiet, departed from OpTic in April and June respectively. The duo joined Echo Fox’s lineup, and a rivalry between them and OpTic was immediately born. The teams first collided at this weekend’s GPC New Orleans Open in the opening round of the championship bracket. OpTic swept Echo Fox, which led to some major trash talk from the Green Wall. But Echo Fox climbed all the way back and punched their ticket to the grand finals where OpTic awaited. Unlike their first meeting in the tournament, Echo Fox took a map off of OpTic. That’s where it would end, though, as OpTic found a way to secure a win in the second game of the series to even it up. And to close it out, OpTic demolished Echo Fox in the third map, only allowing their opponents to win one round and limiting Icy to just a few kills. The series win not only gave OpTic even more ammo to verbally thrash Echo Fox in their post-game interviews, but it clinched them the $100,000 grand prize and yet another Gears Pro Circuit championship. While the tournament may be over and teams will soon turn their attention to future events, GPC New Orleans will likely be remembered for a long time by fans for its relentless trash talking and great games.